Maura Reilly, Curatorial Activism: Towards an Ethics of Curating, Thames & Hudson, 2018. 240 pages. 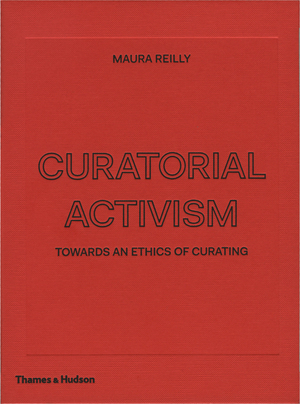 The title of Maura Reilly’s book, Curatorial Activism: Towards an Ethics of Curating, is misleading. “Curatorial Inclusiveness: Towards Equality in Curating”, would be a more accurate title, if I may suggest so. The book lists exhibitions from almost four decades: from “Women Artists: 1550-1950” (curated by Linda Nochlin and Ann Sutherland Harris, Los Angeles County Museum of Art, 1976)1 to “Venice Biennale 2015: All the World’s Futures” (curated by Okwui Enwezor, 2015) and “Art Aids America” (curated by Jonathan Katz and Rock Hushka, Tacoma Art Museum, 2015-2016).2 All of these have promoted marginalized artists systematically neglected by established institutions on the grounds of gender, ethnicity, or sexual orientation. Front cover of Maura Reilly's Curatorial Activism: Towards an Ethics of Curating, Thames & Hudson, 2018. The book’s argumentative weakness begins at its title. Throughout its pages, the author contrasts “curatorial activism” with “mainstream” curatorship. In this dichotomy, the former stands for being “consistently counter-hegemonic” (21), and the latter for everything else. Yet, conservative curators, too, actively confirm and promote an agenda: institutional, political, aesthetic, hierarchical, elitist, hegemonic. There is no curatorial passivism, any more than there is a passivist war.4 An extreme example that comes to mind is the Nazi propaganda exhibition of “degenerate art” (1938), which put artworks on display to mock them as products of the condemned artists’ allegedly sick minds and distorted natures. Approaching Reilly’s book, I expected more from the term “curatorial activism” than a demand to accumulate higher rates of “Others” within the existing power structures. I was thinking of the renowned Swiss curator Harald Szeemann and the way he revolutionized the understanding of the role and possibilities of the curator and the exhibition, in Documenta V (1972), for example, which he titled “Questioning Reality – Pictorial Worlds Today.” Incorporating artworks with images of popular culture, he orchestrated a groundbreaking event that politicized the artfield against l’art pour l’art ethics, for the first time in Documenta’s history. Forty years later, Carolyn Christov-Bakargiev’s dOCUMENTA 13 (2012) stimulated an active spectatorship, by triggering relations not only between artworks, but between humans, animals, plants, and minerals, thereby challenging anthropocentrism. Bearing these examples in mind (which the book doesn’t handle), I was eager to learn about further ways to subvert oppressing distinctions. “An Ethics of Curating” could offer a critique that analyzes what a curator obeys and whom does she serve when she creates an exhibition. But this book, in general, falls short in deep analysis. It offers poor descriptions of the featured exhibitions, in which the author mainly cites curatorial intentions as they appear in catalog texts. The 107 illustration, sometimes of key artworks, sometimes exhibition views, do not always help in getting a good grasp of the shows. The handling of the exhibitions’ reception is limited to quoting critics, in such a manner that leads the readers to assume that the negative tones are just a choir of “mainstream” voices to be ignored. The book ends with Reilly’s “Call to Arms: Strategies for Change,” which pretends to be a manifesto but is actually a list of demands: among them, that gallerists and collectors rethink the criteria upon which they invest in artists, and promote more “Others” (219). To lead the argument ad absurdum would be to demand to find larger numbers of non-heterosexual-white-men among the richest, for a better, more correct, and, and more equal world. Perhaps the book’s main flaw lies precisely in relying on a given concept of “Others.” Other than whom? Reilly writes from an American perspective, and presents western institutions as central global platforms, which must therefore have more inclusive programs. Shouldn’t activism put this centrality in doubt? Moreover, Reilly focuses on women, non-western and LGBTQ artists. What about other “Others”? Disabled, children, animals, autodidacts, whom hegemonic systems conventionally ignore? Despite these shortcomings, the author succeeds in bringing the reader closer to some of her examples. One such example is “Women Artists: 1550-1950 (1976-1977),” curated by Linda Nochlin and Ann Sutherland Harris, which consisted solely of works by women (42-7). Those have waited in museums’ storage for the moment when the paradigms changed, finally getting the attention they had received at the time of their making, and being stashed away later, only because a woman’s signature decorated them. Another exhibition, “Magiciens de la Terre” (Centre Georges Pompidou and the Grande halle de la Villette), curated by Jean-Hubert Martin in 1989, decentralized western artworks by showing them next to art from other parts of the globe (106-11). On that ground it was also criticized, for example regarding the display of Richard Long’s Red Earth Circle next to Yam Dreaming by Yuendumu Community, which highlighted Long’s work on the wall at the expense of the Yuendumu work that laid on the floor. I suggest looking at this the other way around, though, as evidence of the self-centralizing attitude of people of the West. 1. 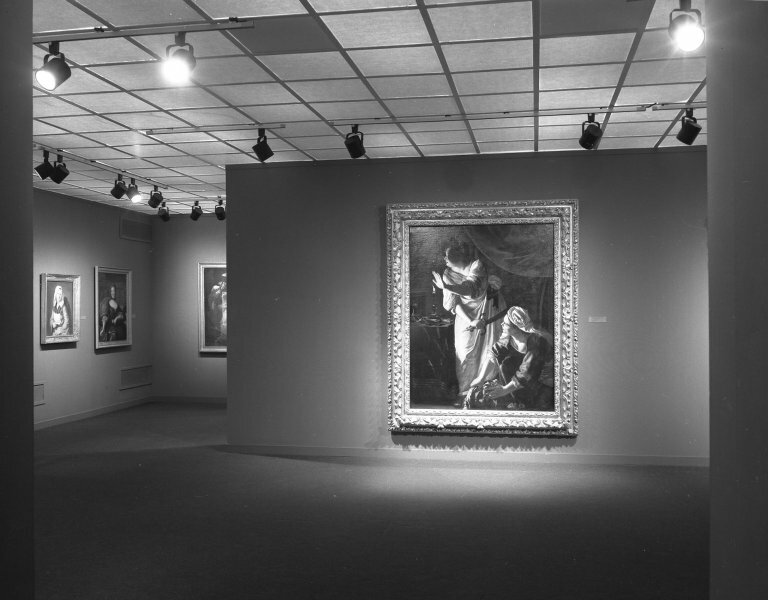 The exhibition traveled to the University Art Museum in Austin, Texas, then to the Carnegie Museum of Art in Pittsburgh, Pennsylvania, and finally to the Brooklyn Museum in New York. 2. The exhibition was also shown in multiple locations throughout the USA between 2015 and 2017: the Bronx Museum of Arts, New York, the Zuckerman Museum of Art, Kennesaw, Georgia, and Alphawood Gallery, Chicago. 3. 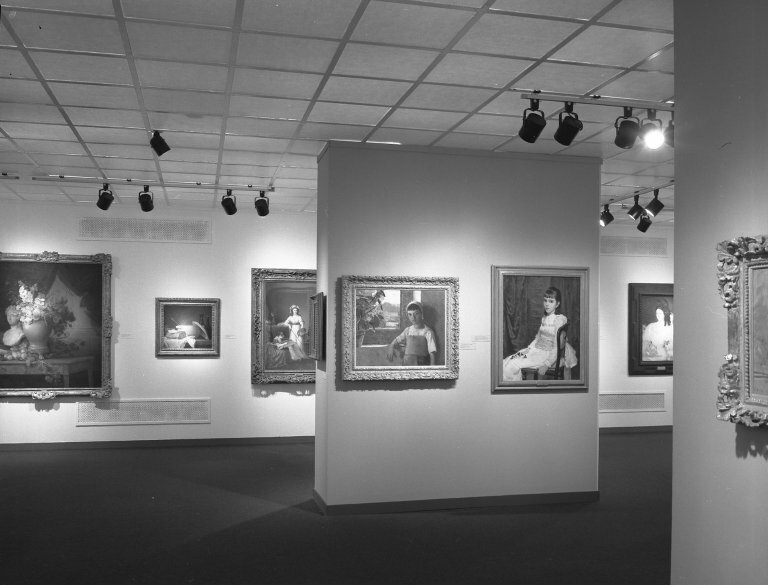 Together with Linda Nochlin, Reilly curated the exhibition "Global Feminisms: New Directions in Contemporary Art" (Elizabeth A. Sackler for Feminist Art, Brooklyn Museum, New York, and the Davis Museum and Cultural Center, Wellesley College, 2007), which appears in the feminist section of the book, pp. 74-79. 4. Paraphrasing Marcel Broodthaers’ remark on the term “experimental” regarding films: “I hardly like the word experimental, no more than I like the word hard. To be defined as an experimental film? As far as I know, no one could imagine an experimental war.” Gloria Moure, Marcel Broodthaers: Collected Writings (Barcelona: Ediciones Polígrafa, 2012), p. 180. 5. Kent Monkman’s intervention recalls Wilson’s strategy. See Liora Belford, “Relinquishing Freedom (Willingly) to the White Man,” TOHU Magazine (30. May 2018). 6. Douglas Crimp in a symposium celebrating his 70th birthday at Arsenal Institute for Film and Video Art, Berlin, August 29, 2014. 7. In her forward to the book, Lucy R. Lippard emphasizes the possibilities to act from outside the institutions, which eventually invite such activist ventures in. 8. On the aporia of hospitality see, of course, Jacques Derrida, Of Hospitality (Cultural Memory in the Present) (Stanford University Press, 2000). Derrida shows that hospitality is based on sovereignty and power, on imposing the law and setting a border. He points out the paradox, for example of: ”I want to be master at home [...] to be able to recieve whomever I like there“, p. 53. 9. 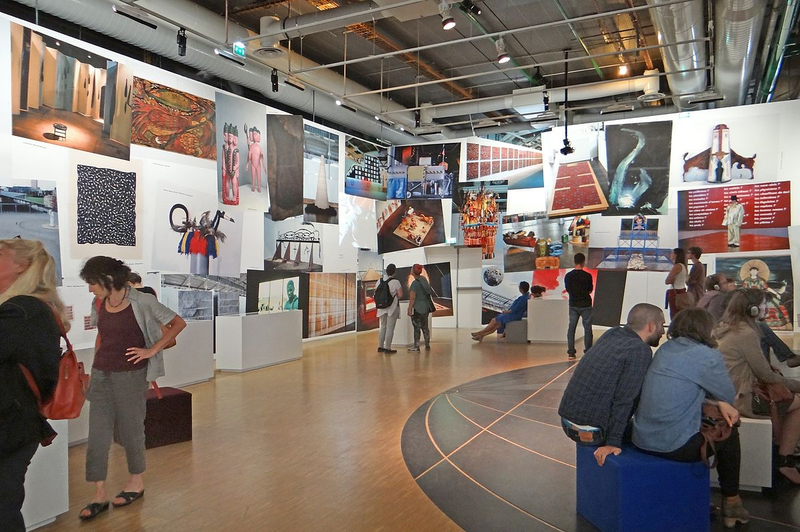 For a bored response to the 10th Berlin Biennale, read, for example, An Paenhuysen.